I’d definitely buy this as a gift for a little girl! We received some wonderful gifts for Christmas this year! Last week I showed Elizabeth’s painter’s tape as a fun gift idea, and this week I thought I’d share one that Alexandra received and loved. Don’s mom gave each girl a craft project, and today’s post is the gift she gave to Alex: a Fashion Headbands kit. It was great for her age (7 1/2) and it was wonderful that after she made all of the headbands in the kit, she then got to wear them day after day to show off what she’d made. The kit came with a stand in it to hold the headbands while they were drying, which I really appreciated. 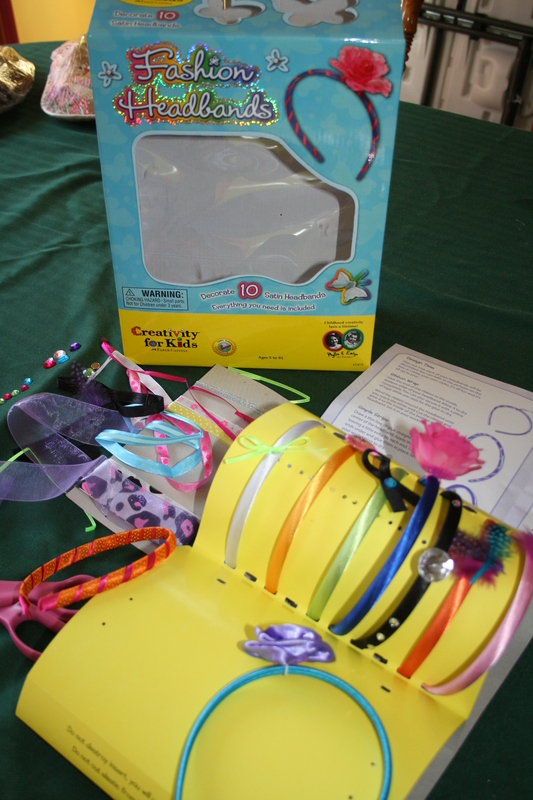 There were plenty of creative options contained in the kit and plenty of materials for Alex to make lots of unique headbands. Oftentimes the picture on the box looks nothing like the finished product that you are able to produce on your own, but this kit was not like that. Alex’s headbands were beautiful, just like the pictures on the box. So often when I’m in the market for a birthday gift for one of the girls’ friends, I never know what to get. I’m always stumped. However, if I saw this kit in my travels I’d definitely pick it up for a birthday gift. 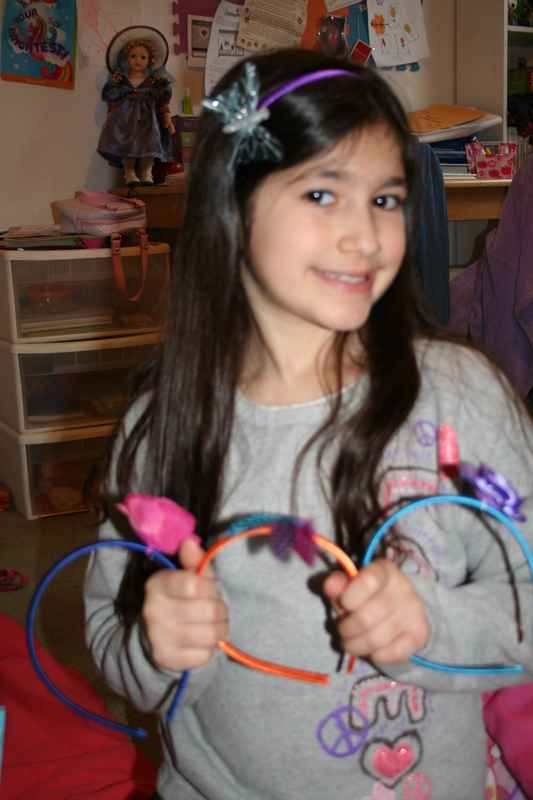 Alex has enjoyed every minute of making and wearing her new headbands! Jen-Katelyn got this same kit last year for her birthday and loved it! I agree they come out like they are shown on the box. I bought it this year for my niece for Christmas. You can buy it at Michael’s and AC Moore. They are usually around $20 but if you have a 50% off coupon it makes it a great affordable birthday gift for a friend. Great to know Jenn! Thanks!! I think this would be great as an activity at a sleep over or birthday party too.